Every business is based on agreements, and agreements should be put in writing. There are various common business agreements like sale agreements, joint venture agreements, agency agreements, trade agreements, distribution agreements, and franchise agreements. The sales agreement is the most common of all the business agreements. It involves the buyer and the seller and the possession or ownership of a property in exchange of a specified amount as stated in the contract. Conditions have to be met first before the deal is sealed. The contract of this agreement contains the detailed information about the seller, buyer, and the property. The type of sale, initial agreement date, any amount deposited, and date of the completion of the contract and ownership transfer are stipulated in the contract. Sales agreement is, most of the time, subject to certain revisions. 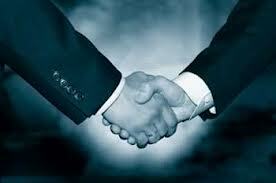 A joint venture agreement is an alliance of two or more parties to execute a short-term business project. The short-term time element of a joint venture agreement distinguishes it from a partnership. In this agreement, the parties, as stipulated in the contract, agree in sharing the losses incurred and the profits gained in the business undertaking. The sharing of losses and profits is properly outlined. In forging an alliance, it should be noted that the resources owned or possessed by the participating parties are complementary. In this kind of business agreement, responsibilities and expectations for all the participants are also set and stipulated in the contract. An agency agreement involves persons and/or organizations bound by a certain contract on the nature of work, amount of pay, and terms of agreement. One is referred to as the agent and the other is referred to as the principal. In this agreement, the agent performs business on behalf of the principal on specified circumstances. The agent performs a fiduciary role in the interests of the principal and receives compensation or commission for the use of his/her expertise. Examples of agents are brokers and lawyers in the discharge of their duties. A trade agreement is a contractual agreement common between states or countries of the world related to trade relations between them. A trade agreement intended for two parties is called a bilateral trade agreement. A multilateral trade agreement is intended for more than two parties. Trade agreements are intended to increase trade between or among parties and lessen trade barriers. Reciprocity is an important feature of this kind of agreement which means that what the parties gain is as much as what they lose. Without this element of reciprocity, the parties will not be forced to sign the contract. A distribution agreement is a contractual agreement between a supplier and a manufacturer where the supplier is bound to sell and/or distribute manufactured products. There are cases when the contract stipulates terms which involve advertising of the same products. Basically, it’s the manufacturer that pays in order to enter into the distribution agreement. Yet, there is another agreement that ensures that the supplier and the manufacturer make money out of the deal. Franchise agreement involves a contract that stipulates the obligation of the franchiser and the franchisee to the enterprise and to each other. The contract also involves territorial rights and reasons for termination. The contract also includes details such as the nature and trademark of the franchise. The franchiser has full control of the way the product or service is projected to the customers though the franchisee remains to be the owner of the enterprise. The operation of a franchise does not require a specific time.